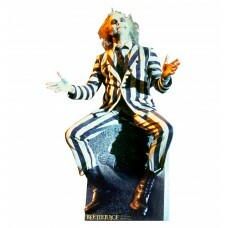 65 inches x 41 inches Cardboard Cutout of Beetlejuice. 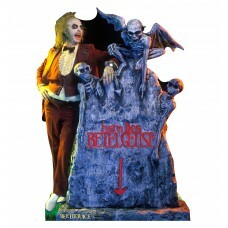 In this Cutout Beetlejuice is sitting on a to..
68 inches x 49 inches Cardboard Cutout of Beetlejuice- Here Lies Betelgeuse. 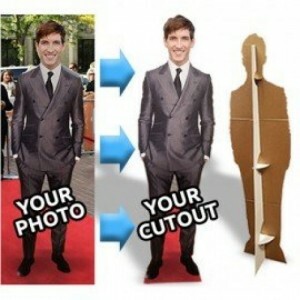 In this Cutout Beetleju..